The Loudoun County Sheriff's Deputy accused of assaulting a man he arrested has been exonerated and cleared of all wrongdoing. Former Deputy John Wayne Gregory was charged with assaulting an arrestee in June 2015 after exiting his vehicle at the Loudoun County Jail. A jury ruled on Wednesday that Gregory was not guilty of an assault and battery charge. 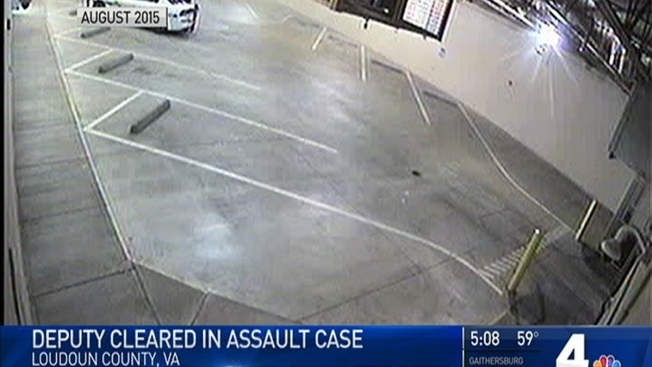 A veteran police instructor in Northern Virginia testified that Gregory had used a reasonable amount of force that was within the bounds of his police training. The law firm that represented Gregory said he would have been justified in using even more force. Former Loudoun County Sheriffy's Deputy John Gregory was fired after he was accused of assaulting an arrestee. He is appealing. UPDATE Nov. 17, 2016: A jury exonerated Gregory of all wrongdoing, returning a not-guilty verdict on the assault and battery charge. Gregory testified that he felt threatened by the arrestee after he felt the arrestee push him and give him a threatening look, his lawyers previously said. The arrestee was brought to the ground by Gregory and suffered minimal injury, his lawyers said. The arrestee had been detained for public intoxication.